Soft Surroundings quickly became one of my favorite stores to shop home goods to give my house a great new look. In addition to home goods, Soft Surroundings also has beauty products and apparel. 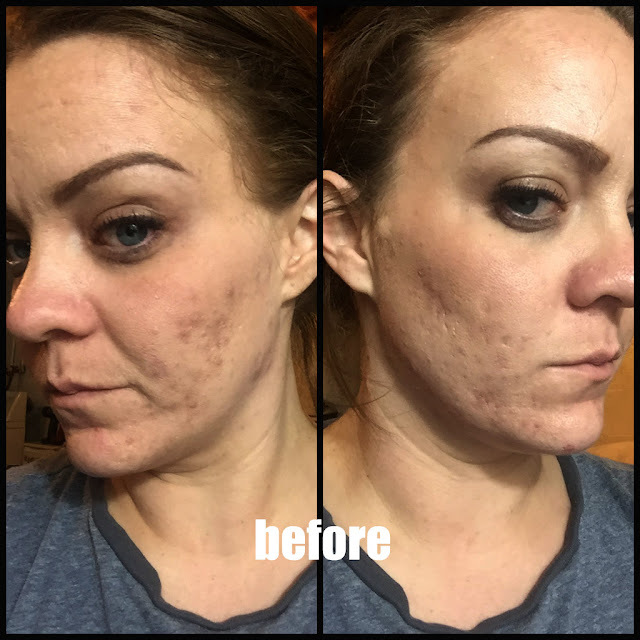 This season, I am showing off some really great goodies from their Spring Collection. I am also showing off a super easy way that I turned a boring old chair into MY new comfy spot! First up, I have Paris Euro Shams in the color Arctic Fox. These Euro Shams are super comfy, luxurious, faux fur and a great addition to anyone's comfy spot. The pattern on the sham is this woven, raised braid that just pulls the beauty of this sham to a whole new level. This is a Euro sham, so it's larger than a standard sham. 26 inches is the size filler you will need to bring this pillow to life. 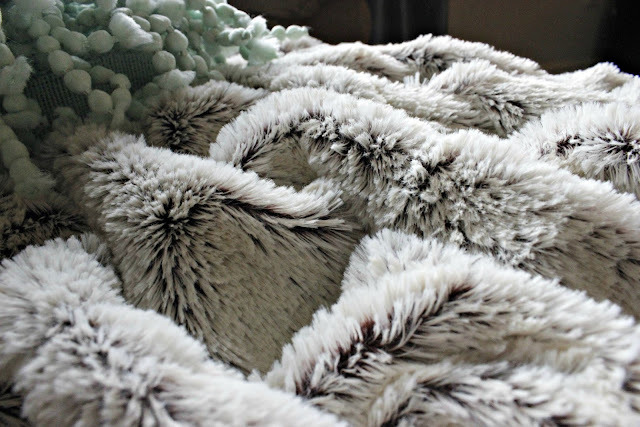 I am also showing off the matching Paris Faux Fur Throw to go along with the Paris Euro Shams. The throw is large and luxurious. I find myself snugging up underneath this while lounging and watching my favorite shows. It's so comfortable and fits me perfectly! 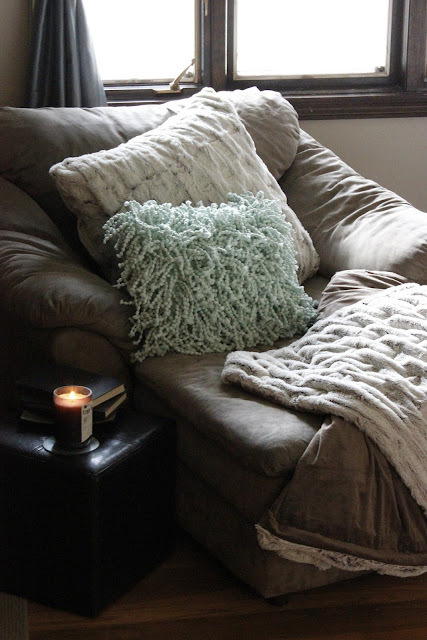 To complete MY comfy spot, I added in the Drancy Shag Pillow in Seafoam. I loved the beaded effect of this pillow. It was the first thing that caught my eye. It's a great way to pull everything together with all the fur. It's also what reminds me of spring. Quick pops of color poking through! Perfection! Lastly, I have something that my aided sleepers will love. I am the kind of person that needs something; whether it be a diffuser or a pillow spray, but I need some kind of aromatherapy to put me to bed. 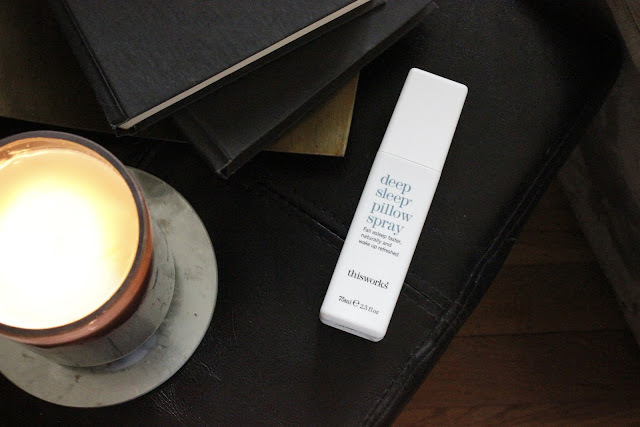 When I saw that Soft Surroundings had there Deep Sleep Pillow Spray, I had to put it to the test. It's supposed to help you fall asleep faster and make you wake up feeling more refreshed. With a blend of lavender, vetiver and chamomile Deep Sleep Pillow Spray has become a regular for my bedtime routine. It smells fantastic and really helps soothe me to sleep. How I turned my boring chair into a new comfy spot with just 3 items! Check them out at Soft Surroundings NOW!